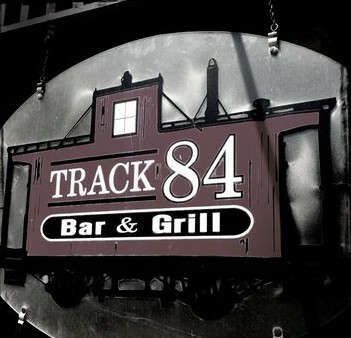 Track 84 was one of the state’s craft beer pioneers, and a genuine local treasure — as evidenced by its triumph in the 2015 Favorite Rhode Island Beer Bar Bracket. We sang its praises in this post. We’re running the weekly growler lineup today so you can plan ahead for the holiday weekend. Most of the breweries will be open on Saturday, so you can celebrate Local Independent Beer — and the return of three acclaimed stouts [it’s always stout season] — before oooh-ing and aaah-ing at the evening’s not-so-phantom fireworks [we’ll update this post as we get new intel]. • Grey Sail has its regular lineup — Flagship, Flying Jenny, Hazy Day, Captain’s Daughter, Avenue N, and Pour Judgement — plus Dynasty Imperial Cream Ale, the latest Chalkboard Series offering, a Farmhouse Ale made with Belgian yeast, spelt malt, and Sterling, Styrian Aurora, and Hallertauer hops, and Great Ketch IPL. Belly up to the tasting station on Wednesday and Thursday from 4-7, on Friday from 2-7 pm [two extra hours this week only], and on Saturday and Sunday from 1-5 pm. • Whaler’s Brewing has Citra IPA, East Coast IPA, Rye Pale Ale, Chinook IPA, Ginger Wheat, and Hazelnut Stout [Thursday and Friday 4-8 pm, Sunday 1-5 — and extended hours on Saturday [12-8 pm]. • Crooked Current’s doors will open on Friday from 5 to 8 pm and on Saturday from 11 am to 4 pm. They’ll have Oatmeal Raisin Stout [back by popular demand], plus Kickback American Wheat and Strawberry Blonde Ale. • Head to Foolproof on Friday only from 5-8 for tastings [$10, includes three samples] and growler fills of their usual fine brews [Backyahd, Barstool, Raincloud, La Ferme Urbaine, and King of the Yahd]. 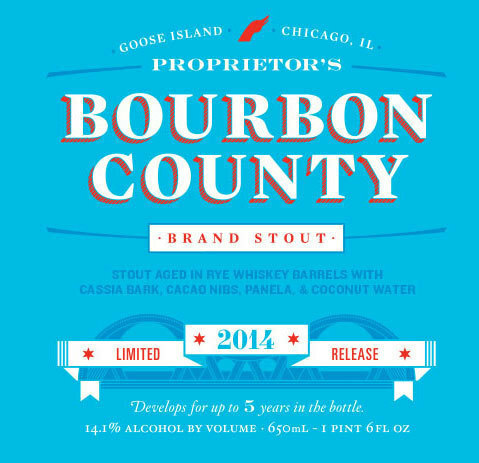 • [Updated 6.30 @ 4:45 pm] Proclamation Ale will be open on Friday from 3:30-8 pm and on the 4th from 10 am-1 pm — and will bring back Zzzlumber, the mighty Russian Imperial Stout [this batch was not barrel-aged], for tastings and growler fills. Check the website for what else will be on tap. • [Updated 7.1 @ 9:05 am] Ravenous will be open on Thursday from 4-7 pm and on Friday from 4-6. • Bucket Brewery: TBA. Hit the website for updates. Every Saturday, we collect links to the week’s best beer reads. 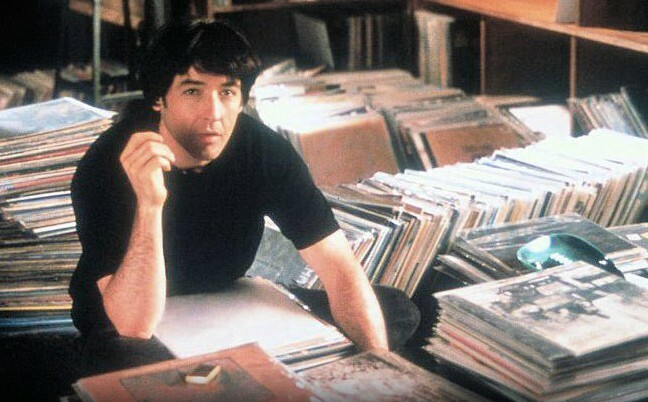 Today, inspired by High Fidelity’s recent return to Netflix and as a shoutout to the hundreds of Sundays we spent with Casey Kasem, we’ve compiled the Top Five Most-Read Bottles & Cans Posts [not counting the Favorite Rhode Island Beer Bar Bracket polls]. The inspiration for this self-indulgence? We’ve welcomed many new readers in the last few weeks, thanks to a stealth marketing campaign [have you found a B&C business card on a beer shelf or a pile of beer coasters?] and a mention in a roundup of “Rhody blogs” in the July issue of Rhode Island Monthly. [The piece describes us as an “all -around craft beer expert.” We appreciate the kind words, but every day we learn how much more there is to know. Garrett Oliver and Randy Mosher are “all -around craft beer experts”; we are privileged to talk with local “all -around craft beer experts” and share their wisdom with you.] So if you’re a first-timer, here are B&C’s greatest hits. Thanks for reading! Come back soon! Read all about it: defining ‘craft beer’; sell your homebrew [legally]; and can craft beer survive AB InBev? On Saturday, we search Google News for “beer” so you don’t have to. Here are this week’s finds. And please take the time to scroll down and catch up on our posts…We’re always working for you at the B&C desk! • Grey Sail has its regular lineup — Flagship, Flying Jenny, Hazy Day, Captain’s Daughter, Avenue N, and Pour Judgement — plus Dynasty Imperial Cream Ale [8%ABV], Farmhouse Ale, the latest Chalkboard Series [made with Belgian yeast, spelt malt, and Sterling, Styrian Aurora, and Hallertauer hops, 6.5%], and Great Ketch IPL [by the way, the cans are still waiting for labels; soon come]. Cozy up to the tasting/growler station today from 4-7 pm and on Saturday + Sunday from 1-5 pm [and on Wednesday + Thursday from 4-7]. And be sure to offer a fond farewell and best wishes to “beertender/beergeek” Jon Brodie, who is leaving the smallest state for a new job in the largest state at Alaskan Brewing Company in Juneau. Jon says: “I’ll miss representing Grey Sail [as I did] just about every weekend for the past 2.5 years in the tasting room, but hopefully I can transition smoothly from slinging Captain’s Daughter to their Smoked Porter.” Cheers, Jon! 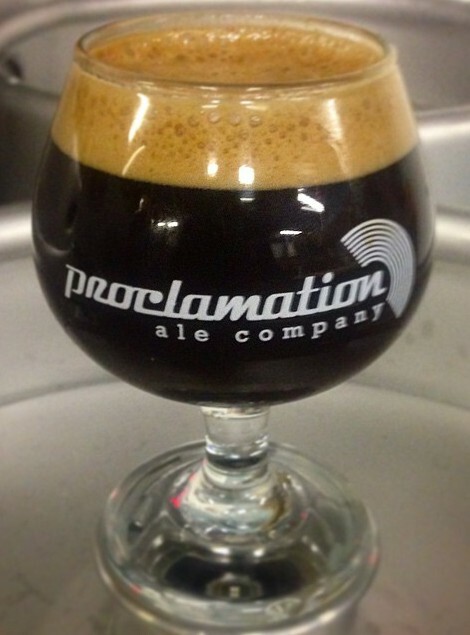 • Proclamation Ale has two variations of Derivative — Mosaic and Galaxy — for tastings and growlers. Dave says they’re “dialed in and ready to go — two nice summer fruit bomb pale ales.” Plus: bottles of Harper I Apricot [a blonde sour fermented in oak barrels] and Keraterra “with a different brett strain, fermented in red wine barrels, and dry hopped with Galaxy and Mosaic hops.” Head to West Kingston tonight from 5-8 pm and on Saturday from 1-5 pm. • Whaler’s Brewing has Citra IPA, East Coast IPA, Rye Pale Ale, Strawberry Blonde, Ginger Wheat, and Plum Pale Ale [Thursday + Fridays 4-8 pm, Saturday 1-7, and Sunday 1-5]. 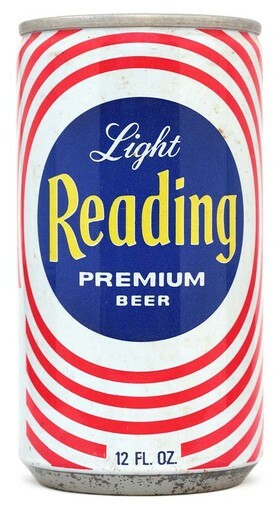 • Bucket Brewery has 33rd Inning Red Rye Lager, Pawtucket Pail Ale, Sabin’s Stout [aged in an Uprising barrel from Sons of Liberty Spirits Co.], Park Loop Porter, and B.O.G. Cranberry Orange Saison. Tastings today [1-7:30 pm] and Saturday [11 am-5 pm, $5] and tours on Saturday [1:30, 2:30, 3:30 pm, $13, includes pint glass]. • On Saturday [1-4 pm], Tilted Barn Brewery will share Early Riser IPA [The Beer Formerly Known As Brewfest], Raffi [oatmeal stout] and Half Mile IPA. Plus: the crew from Walrus and Carpenter Oysters will be shuckin’ ’n’ sellin’ their savory delicacies. • Crooked Current has Kickback American Wheat, Immorality Pale Ale, and Strawberry Blonde Ale on Saturday from 1 to 5 pm. • Aaaand Foolproof is open today from 5-8 and Saturday from 1-5 [with tours at 1, 2, 3, and 4] for tastings [$10, includes three samples] and growler fills of their usual fine brews [Backyahd, Barstool, Raincloud, La Ferme Urbaine, and “super-fresh” King of the Yahd]. It’s National Leon Day! [“Leon is Noel spelled backwards and June 25 marks the six-month point until Christmas.”] It’s also National Here-Are-Five-Items-For-Your-Skimming-Pleasure Day! • We spent a few fruitless minutes on the Google looking for info on the East Bay Beer Fest that was scheduled for Saturday [6.27] in Warren. There’s no info to be found because the event has “been put on ice until further notice,” the organizers told us. Now you know! To commemorate the occasion, here’s a link to a story that ran in the late, lamented Providence Phoenix on August 19, 2005. Ian Donnis took a deep dive into “The beer boom,” with a history of Rhody beer and ’Gansett’s rise-and-fall-and rebirth, visits to Newport Storm and Trinity Brewhouse [and Anchor Brewing Company], and more heady brew lore. • On 11.20.14, we took a brief detour from the beer world and dedicated a post to our all-time favorite band: R.E.M. [though beer did get a shoutout]. 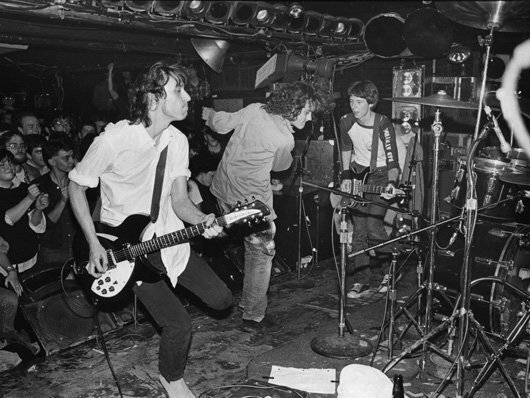 As a #ThrowbackThursdayTreat, here’s a link to the band’s phenomenal performance at the Paradise in Boston on 7.13.83 [some band called the Replacements were the openers]. It was a special night. Need proof? Check these quotes from the 2006 compilation, And I Feel Fine…: The Best of the I.R.S. Years 1982-1987 [which includes three songs from 7.13.83]. Mike Mills said: “I remember the Paradise show, which is perhaps surprising considering what we were probably up to at the time. Boston was always a great town to play; I don’t think we ever had a bad show there.” And Peter Buck: “I remember this show. It was taped for WBCN…Murmur was out, and we drew a crowd and played well — I think it even sold out [note: yep]. For me, it was like, ‘We just played this cool rock club that I’ve read about.’ It felt like, ‘Oh, yeah, we’re a band.’ Sometimes when you’re playing those early tours and not a single person shows up, you’re like, ‘Well, I don’t think this is exactly the way the Rolling Stones did it.’ ” OK, hit play! It’s National Pecan Sandies Day! To celebrate, here are a half-dozen chewy items. • Look what we found in the basement! 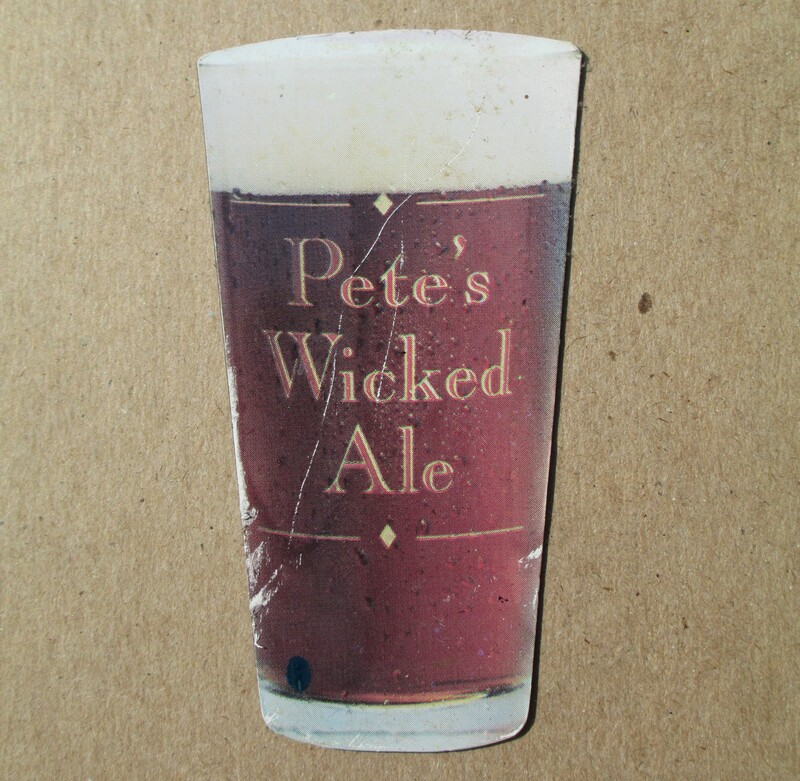 We got it from Pete Slosberg himself at one of the early editions of the Great International Beer Fest [maybe we’ll include it in The Massive Prize Package we’re assembling to celebrate our rapidly-approaching 200th post]. • Gotta getaway? On Saturday, we posted a link to Beer Connoisseur’s list of the world’s best beer cities; here’s The Street’s roundup of the seven best beer vacations you can take in the US [complete with lodging suggestions].